WrestleMania has come and gone and now we start again in WWE. We have new champions (one I’m okay with and one I’m not); a “redemption” of sorts; and potentially the biggest departure (on their own) in the company ever (Shawn Michaels would be the other). I’m sure if you’re reading this, you know what I’m writing about above by now, but I still will not spoil, so to find out, read on! A recap of WrestleMania plays. We go live to Orlando, Florida, where the pyro explodes in the Amway Center. Commentators Tom Phillips, John “Bradshaw” Layfield, and David Otunga welcome us. They announces that new Women’s Champion Naomi will put her title on the line against former champion Alexa Bliss; and they also talk about the rambunctious crowd. They brawl for a bit until Erick Rowan makes his return! He helps Bray, but Luke Harper charges out and saves Orton. The two sides stare at each other, with Bray and Erik on the floor, and Randy and Harper in the ring. 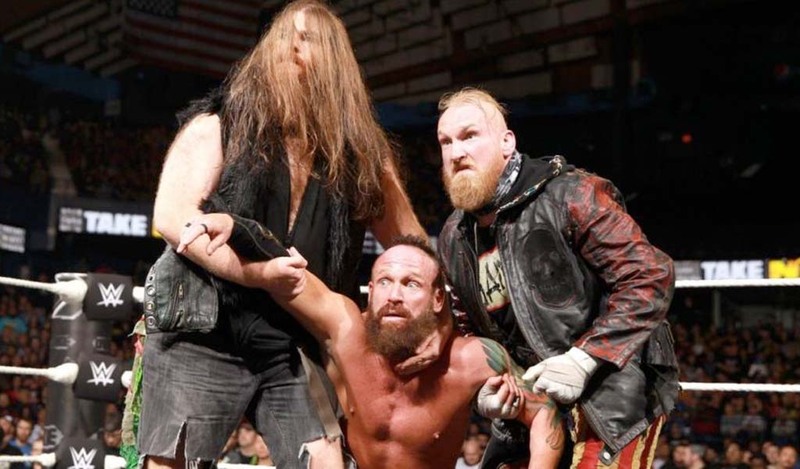 Later tonight, Erick Rowan and Bray Wyatt reunite to face Luke Harper and WWE Champion Randy Orton. They lock up and Alexa kicks away. She presses her knee against the back of Naomi against the middle rope. Naomi fires back, running Alexa into the middle turnbuckle and follows with a running calf-kick on the outside! Alexa is working over Naomi’s leg as we return. Naomi begins a comeback with a flurry of forearms and then a backdrop. She has Alexa in a fireman’s carry and drops her into a kick, but Alexa just kicks out of a pin attempt! The Challenger hits back with a DDT, but the Champion also kicks out! Naomi tries an enziguri, but Bliss counters. Naomi springs off of the top rope with a kick, and then goes for her split-legged moonsault; Alexa yanks her leg, but the two then trade a pin combo, and Naomi turns it into a leg/arm scissors lock, forcing Bliss to give in! Later tonight, Baron Corbin and Intercontinental Champion Dean Ambrose will engage in a Street Fight! Match #2: Single – Curt Hawkins VS. ??? Hawkins issues an open challenge, and the man to answer is “The Perfect 10” Tye Dillinger! He starts off with a waistlock slam and a cartwheel! Curt gets a little offense, but is Tye is dominating. He hits Hawkins with ten-punches in the corner and gears up for his finisher – the Tye-Breaker! (fireman’s carry into a knee-to-the-head). Tye covers and gets the victory! Mojo Rawley is questioned on his Andre The Giant Memorial Battle Royal victory. He is overjoyed to have this honor and alludes to defend it properly. A quick recap of Mr. McMahon’s announcement about the “Superstar Shakeup” next week; later tonight, Commissioner Shane McMahon will talk about that. Up next, The Miz and Maryse! John Cena’s music plays, but it is actually The Miz and Maryse. They mock Cena and Nikki again, as they are dressed like them. Miz and Maryse make fun of Cena and Bella’s engagement, and then assure that John and Nikki will cease to be on Smackdown! A violinist appears in the aisle way and the lights go out, followed by the arrival of Shinsuke Nakamura from NXT! Baron immediately stomps away at Dean in a couple of the corners, and then goes to slam Ambrose as he ran off of the ropes. Dean tries to counter but is choke-slammed to the mat. Corbin goes for a chair on the outside, but Ambrose stops him with a suicide dive and then he dropkicks him over the barricade! A table is set up in the corner and chairs are in the ring as we come back. Baron picks Dean up and torpedoes him through the table! Corbin gets a strap from and whacks Ambrose on the back with it a few times! 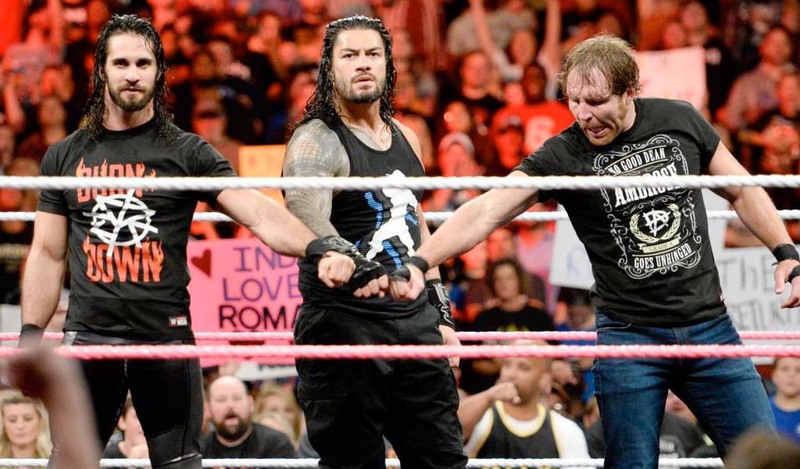 He tries to run Ambrose into a chair that is setup in the corner, but the I.C. Champion reverses and Baron goes into the chair! Dean has the momentum with fast fists and then hits with the strap. He sends Baron to the floor and follows with an elbow drop from the top turnbuckle! He places Corbin on the table that’s on the floor, and then dives off of the top turnbuckle with an elbow onto Baron through the table! “The Phenomenal One” A.J. Styles interrupts. He pronounces that he “does not want to go anywhere,” because Smackdown! is “the house that A.J. Styles built.” Styles also gives props to Shane for their ‘Mania match, as they both shake hands. He fakes hitting McMahon, but poses and backs up the aisle. Erick and Randy begin, with Orton trying to figure Rowan out. He goes for an R.K.O., but Erick slams him away and puts him to the outside. Orton makes the hot-tag to Luke who cleans house on Bray and Erick until Bray hits Harper with a clothesline on the outside! Rowan takes advantage with a slam and chops away in the corner, and then presses his fists against the sides of Luke’s head. He catches Harper off of a run and spin-slams him for two! Rowan switches with Wyatt who pounds away on Luke’s head with fists. Erick is back in shortly, and The Family takes control for a bit. Orton gets a hot-tag, but The Wyatt’s video plays. Back into the match, Bray is now in the aisle, and Erick goes for a full-nelson. Harper superkicks Rowan, and Randy drives him with an R.K.O., and then covers for the victory! Post-match, Bray laughs and claps from the aisle as Orton and Harper look on/pose to close the show. Excellence: promos by Bray, Miz/Maryse (both times), Mojo, and Shane/A.J. Matches between Naomi/Alexa, Dillinger/Hawkins, and Corbin/Ambrose. Shinsuke Nakurma’s debut was pretty good; I half-expected it, but was a little surprised at the spot. I expected him to be a main eventer, but glad they didn’t go with that, as he should be slowly built to there. Tye Dillinger’s was a complete surprise and quite enjoyable! I hope he stays on Smackdown! as I think that is a better fit for him for his abilities. He can easily be Intercontinental Champion by the summer and WWE Champion by next year, if built-up correctly. I am interested in the “House of Horrors,” so at least they’ve thrown a small twist into a lame feud. Very glad they didn’t have Luke turn back into the Wyatt Family; that would’ve killed his momentum and made no sense. Baron and Dean need to have one more match and end this feud; Baron should get the win and move on. 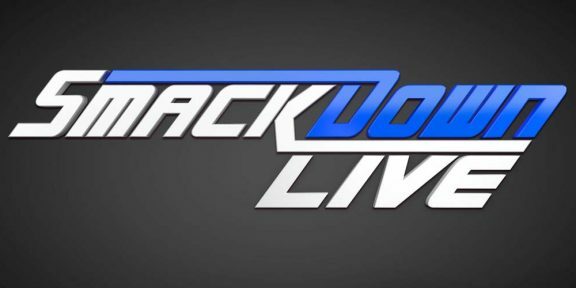 Overall, I like where Smackdown! is still going, and I hope they don’t change too much after next week’s Raw. Until next week’s Smackdown!, Be Excellent Wrestling-Online Fans!